ComScore’s new U.S. smartphone market share numbers are in, and the trend that’s been going on for years hasn’t changed: Google‘s Android and Apple’s iOS are gaining, while everyone else is losing. 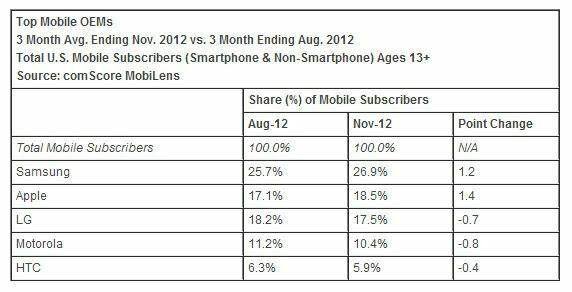 In the three-month period ending November 2012, Google had a 53.7% market share, up from 52.6% in August. Apple’s market share rose from 34.3% to 35%, while RIM, Microsoft and Symbian all lost market share, dropping to 7.3%, 3% and 0.5% respectively. On the manufacturer front, Samsung’s share rose from 25.7% in August to 26.9% in November, while Apple chalked an ever bigger gain, rising from 17.1% to 18.5%. That second place is looking increasingly distant for LG, which dropped from 18.2% to 17.5%. Finally, Motorola dropped from 11.2% to 10.4% and HTC lost 0.4%, dropping from 6.3% to 5.9%. Apple’s good results can partially be attributed to the sales of iPhone 5, which became available in late September. 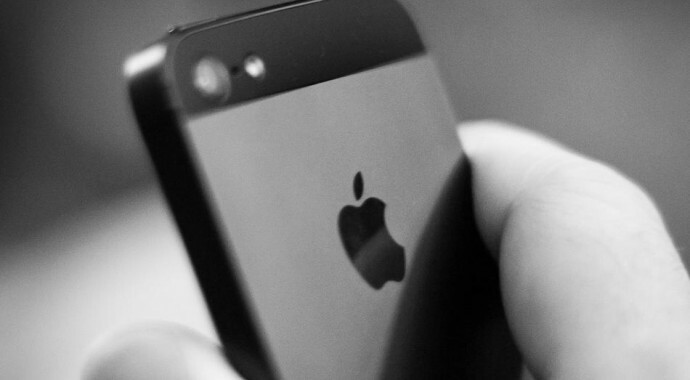 In the following quarter, holiday sales will likely help all competitors to some extent, but Apple will probably benefit the most thanks to the availability of the iPhone 5. Innovay is an IT consultant company focused on providing Consulting, Social Media Management, Mobile Apps, Google Apps, Cloud and Business process solution development services to USA, Australia, Europe and Asia. By using our enhanced global delivery models with innovative software platforms approach and industry expertise, we offer various Web solutions. We have the expertise in Social Media Optimization, Google Apps and Mobile Apps development such as Iphone as well as Android HTML5 Native Mobile Apps.